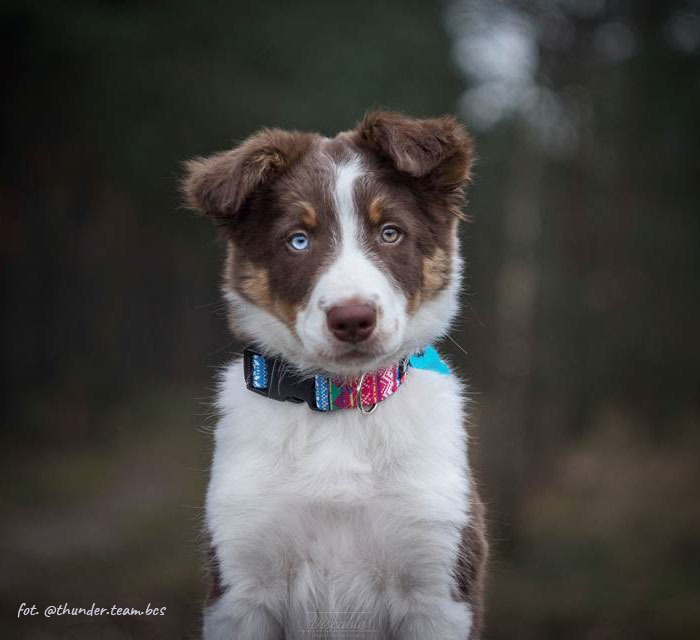 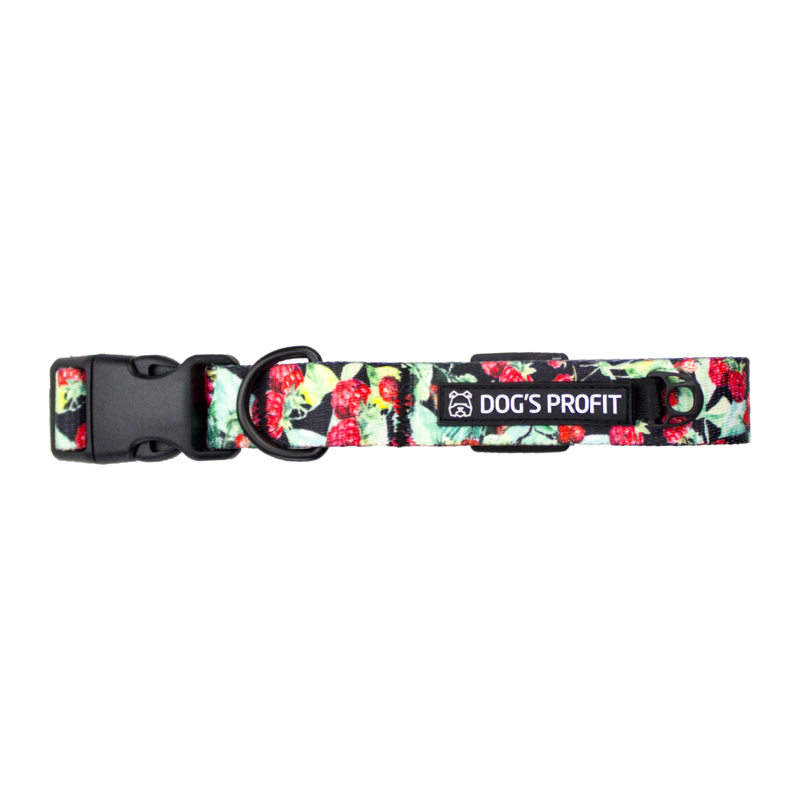 Collars – Dog’s Profit – stylowe obroże, szelki i smycze dla Twojego psa! 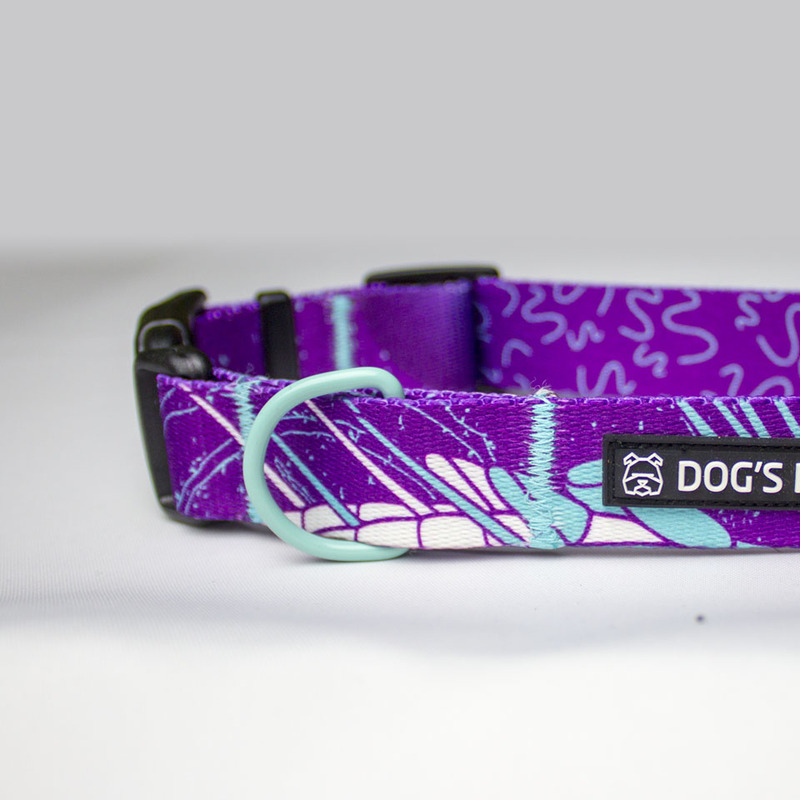 Classic dog collar. 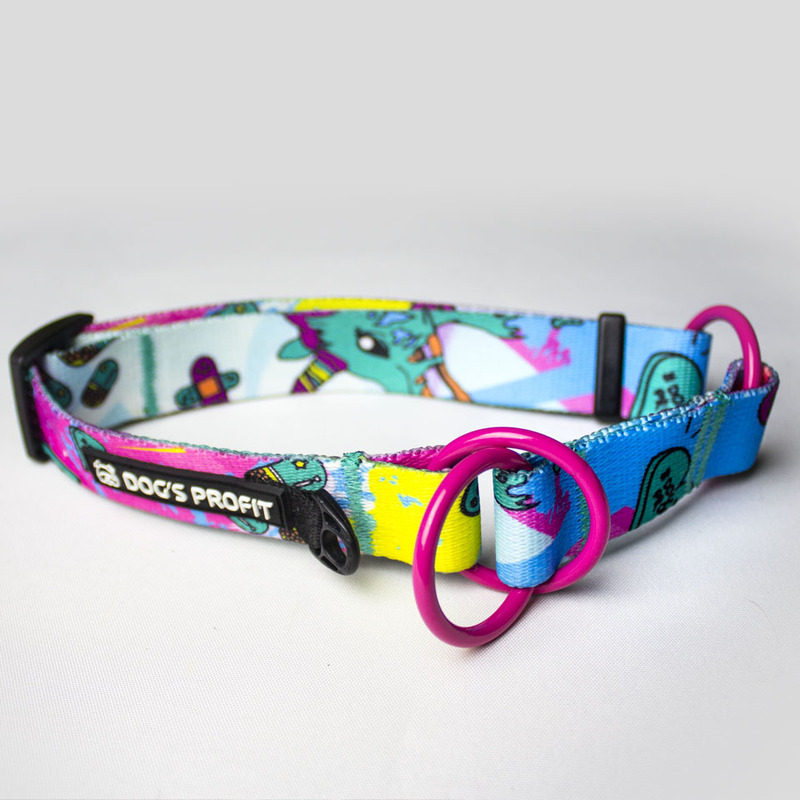 Number 1 on a shopping list for a child. 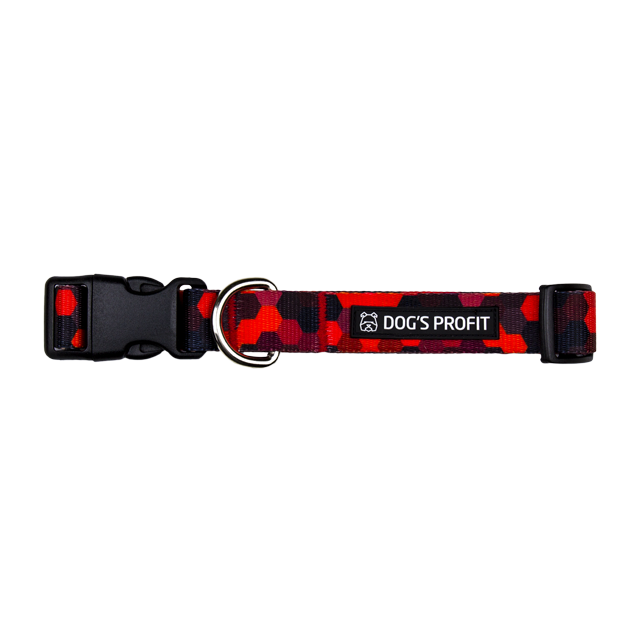 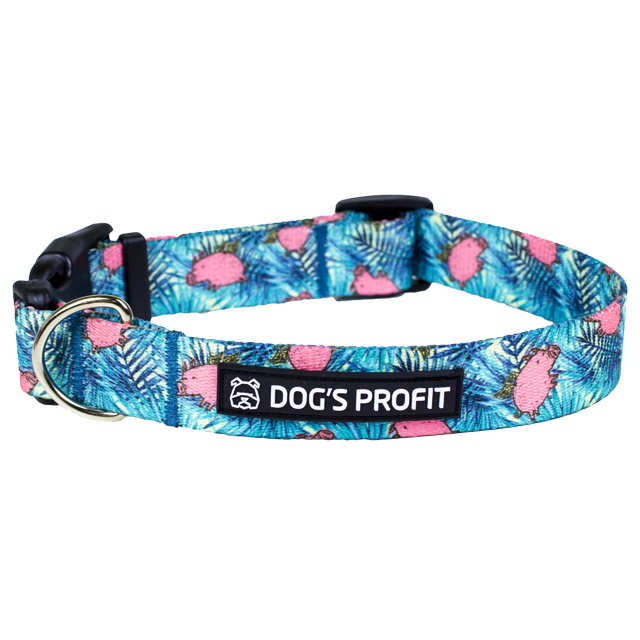 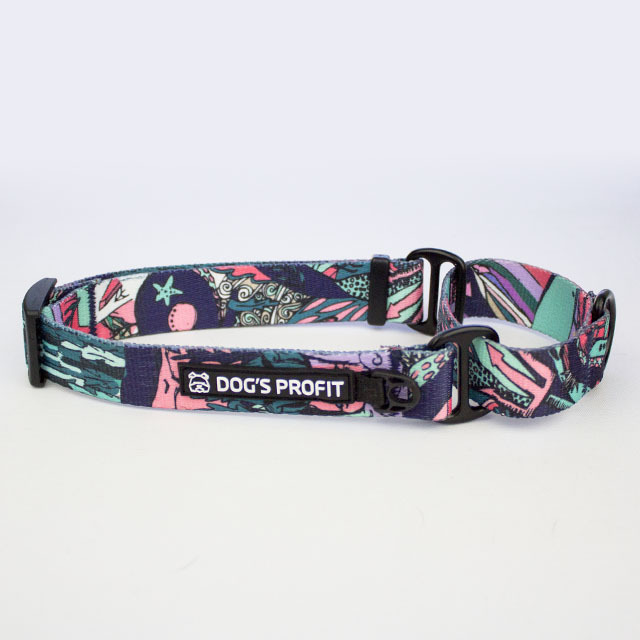 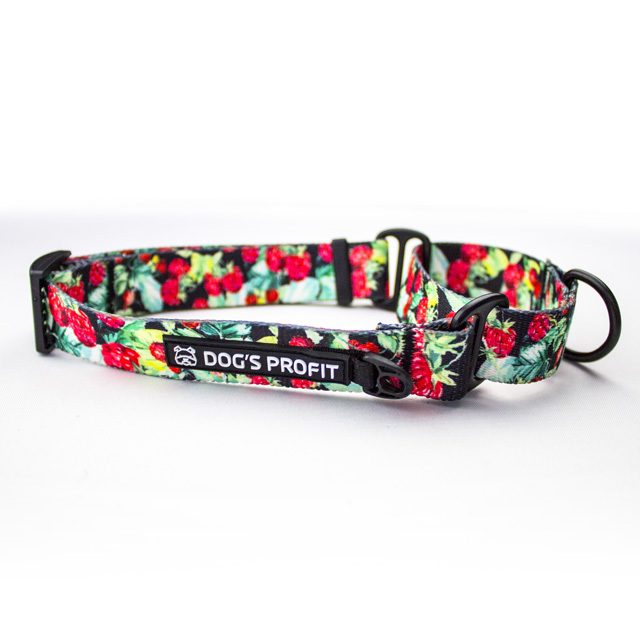 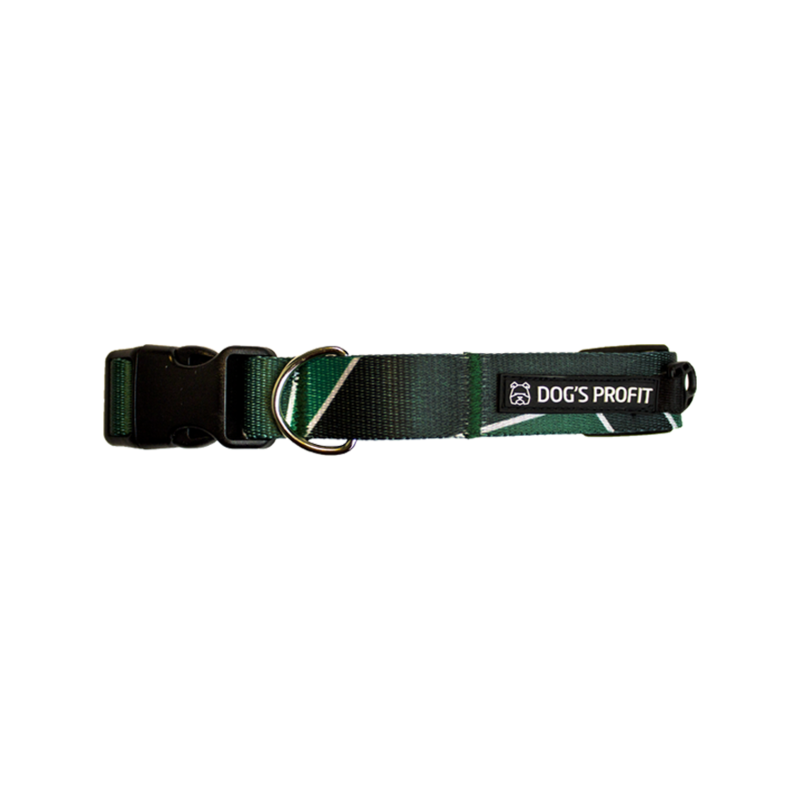 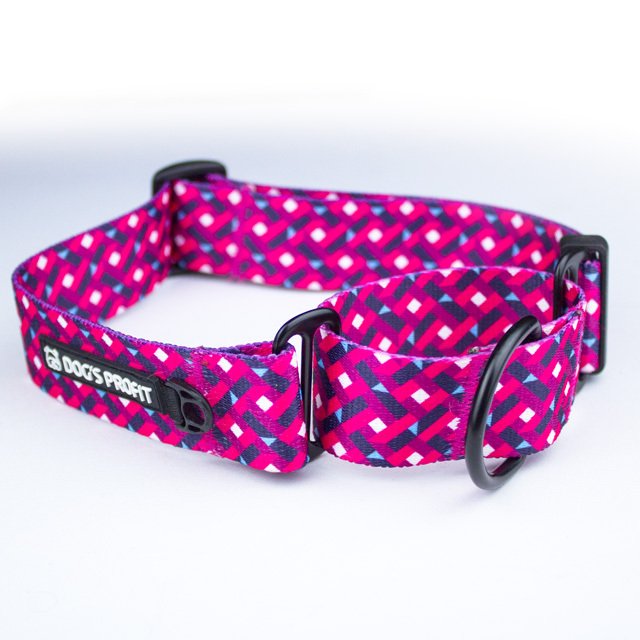 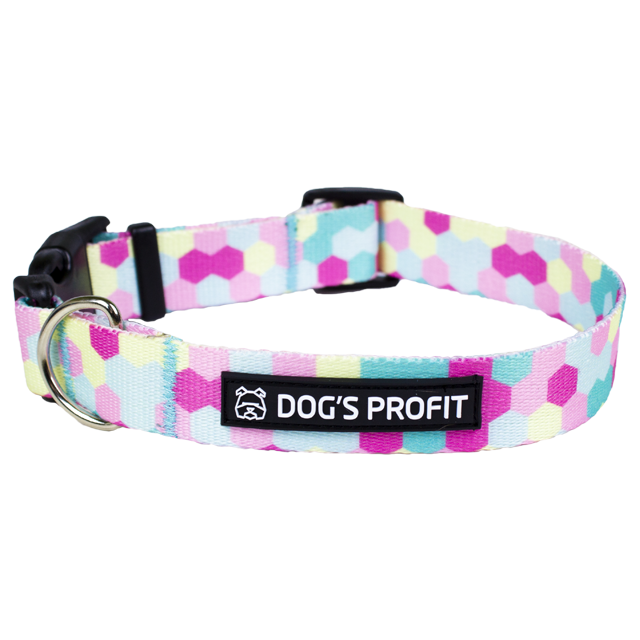 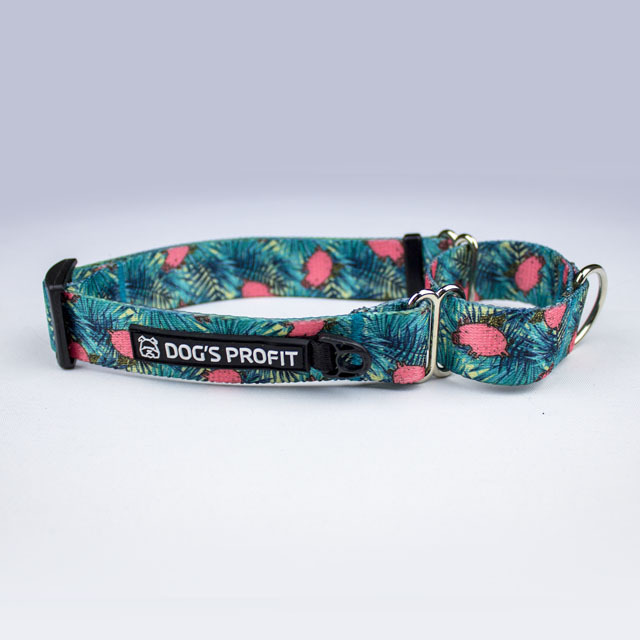 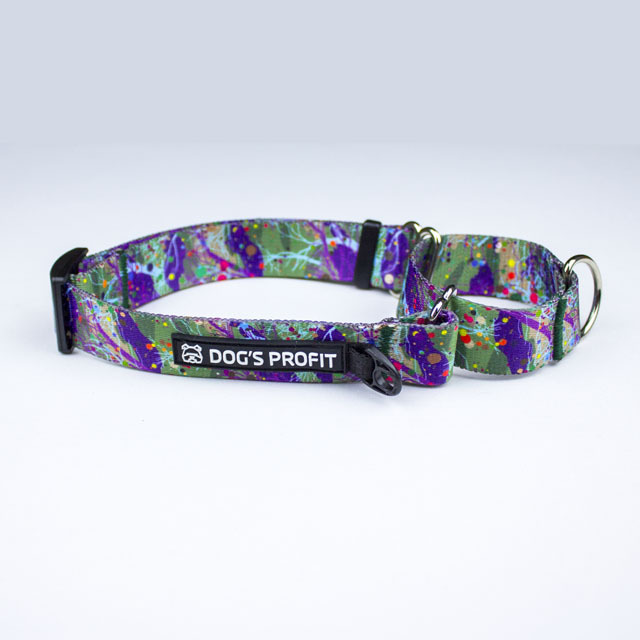 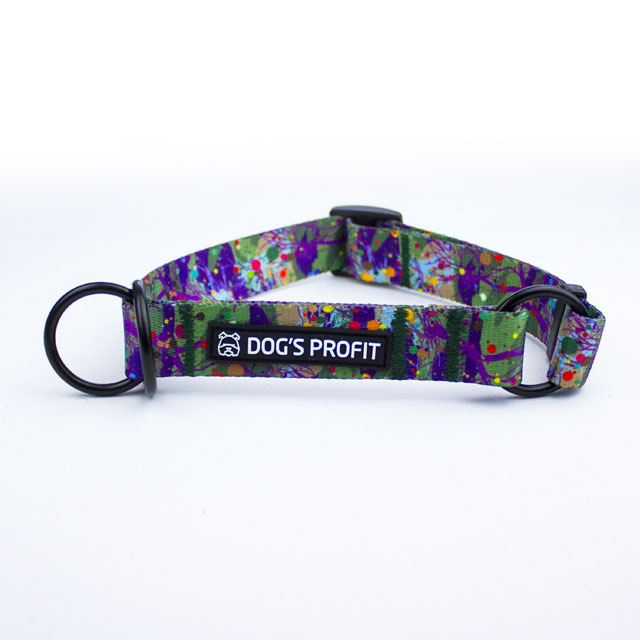 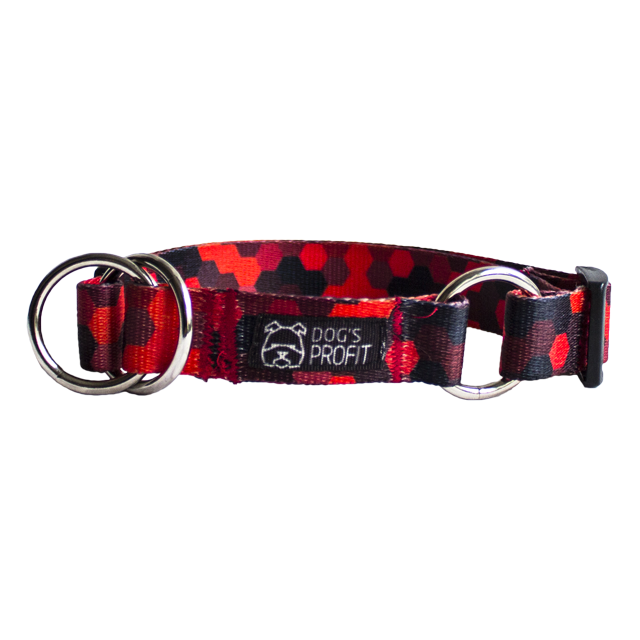 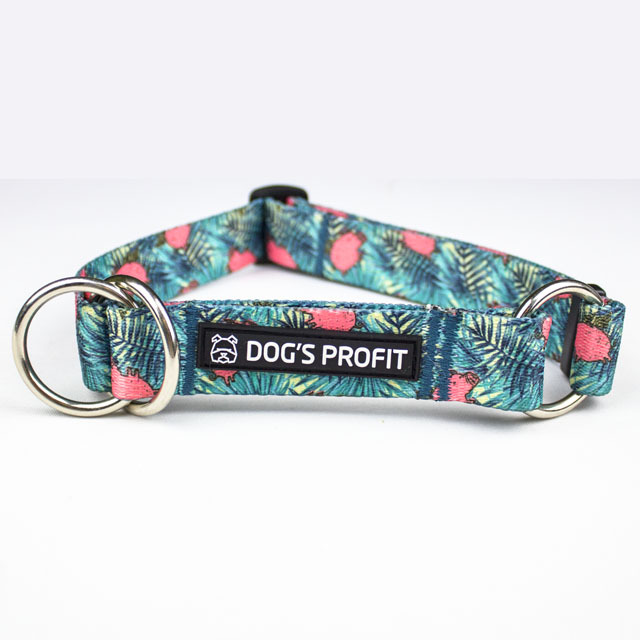 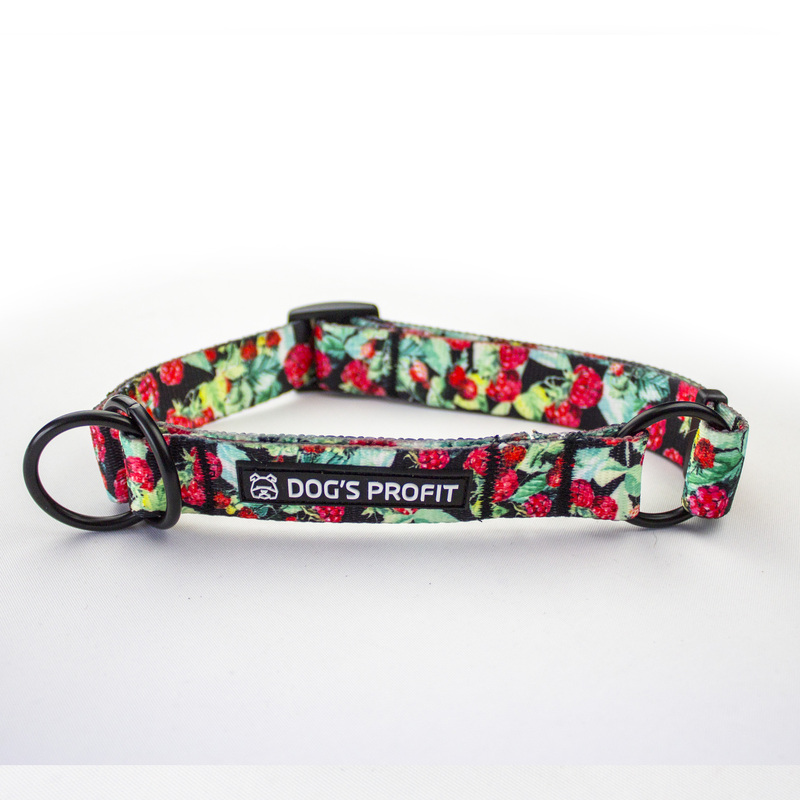 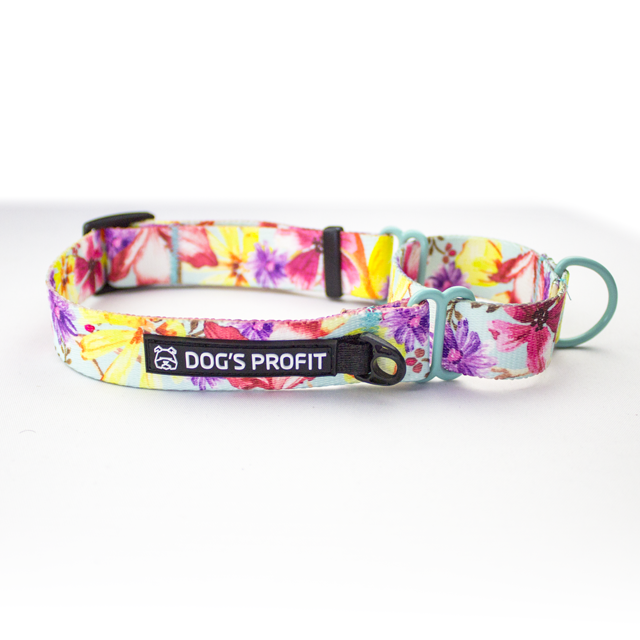 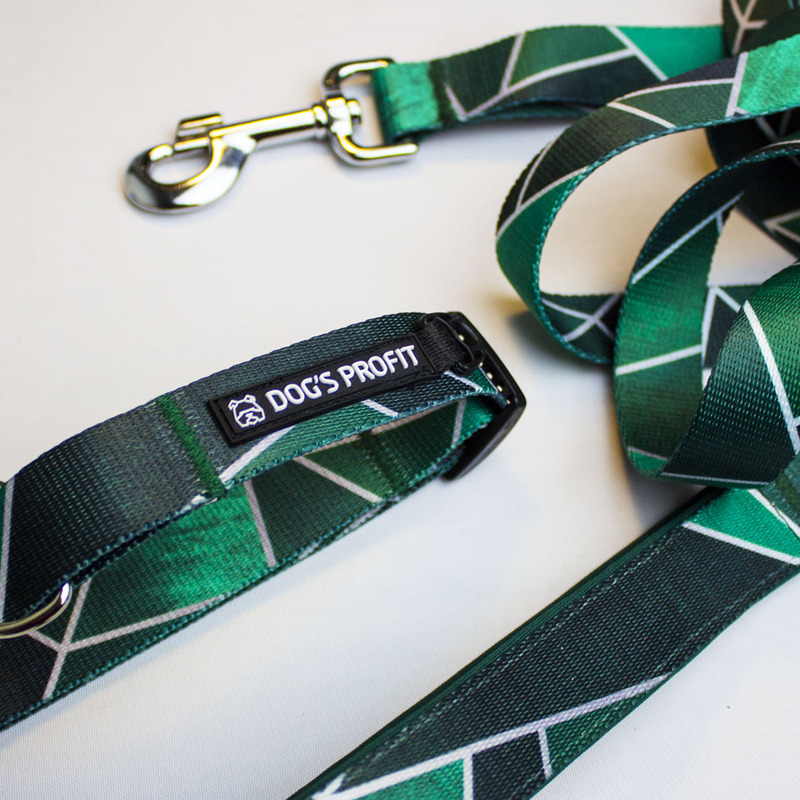 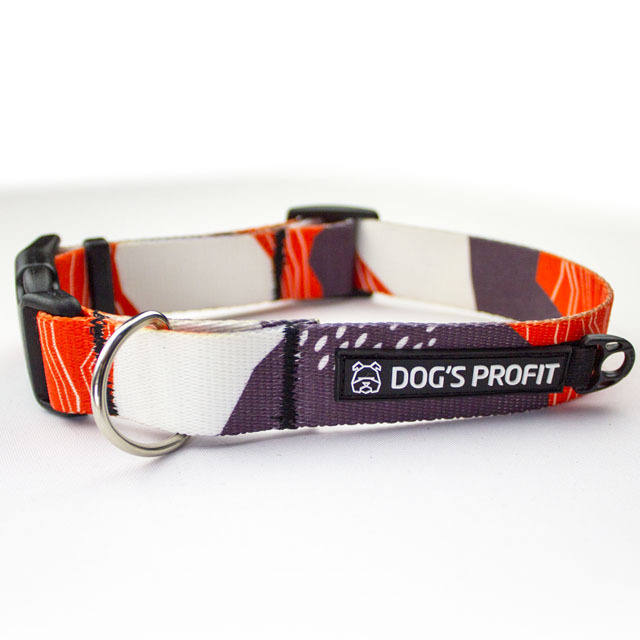 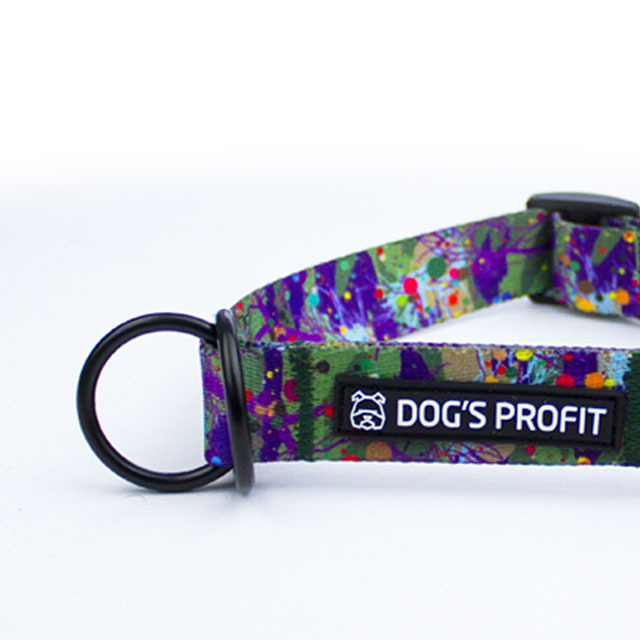 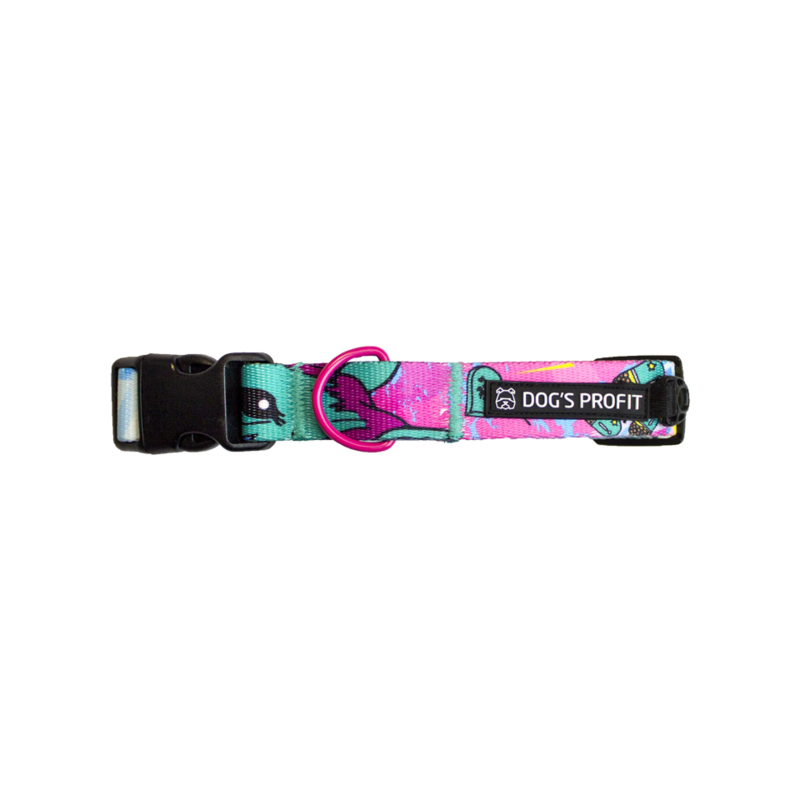 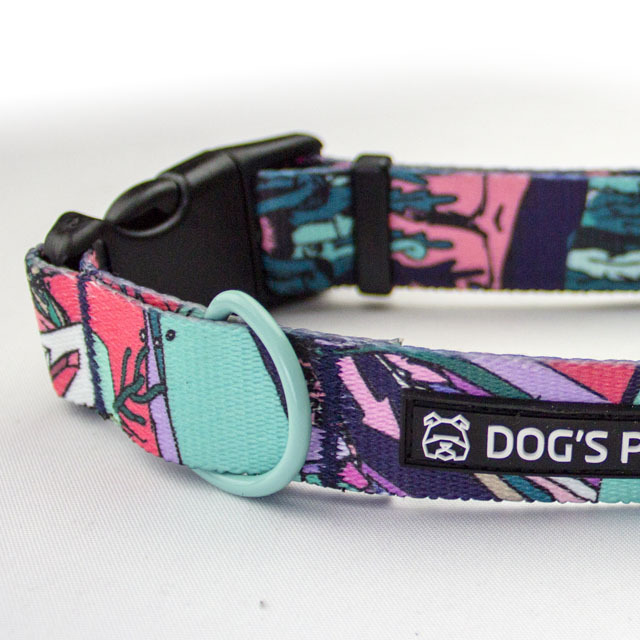 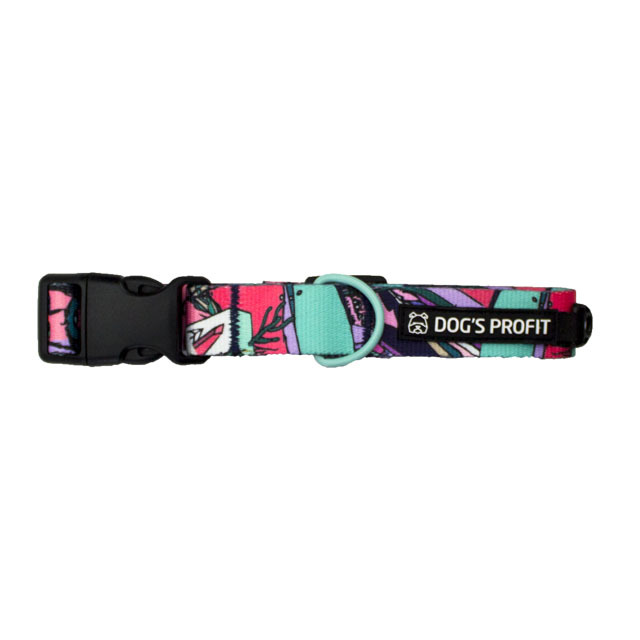 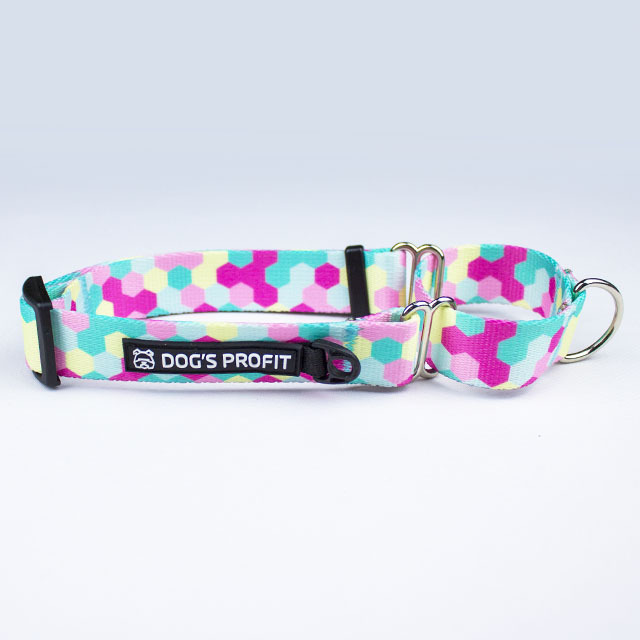 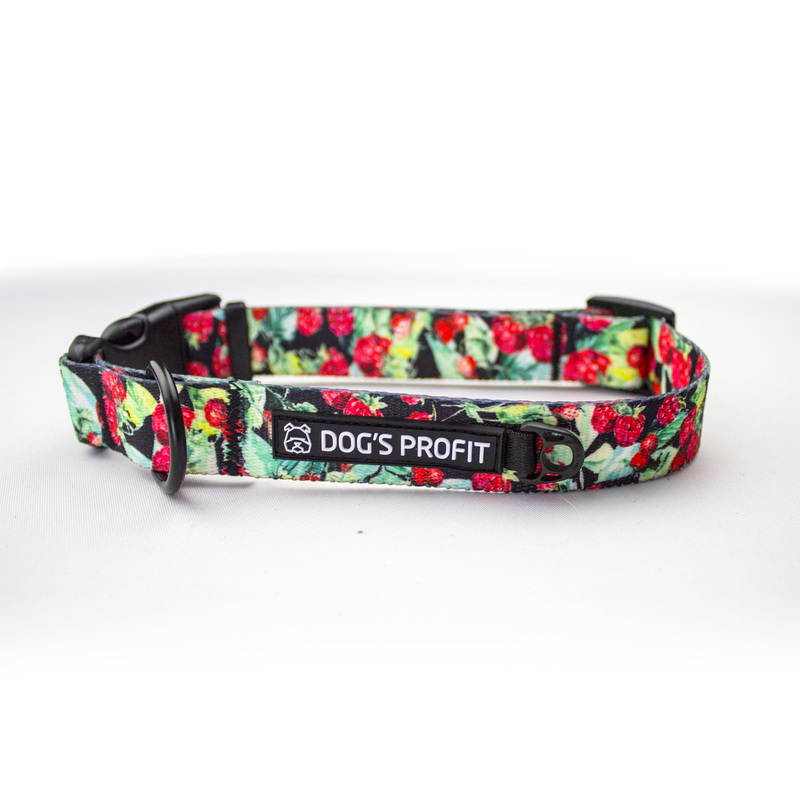 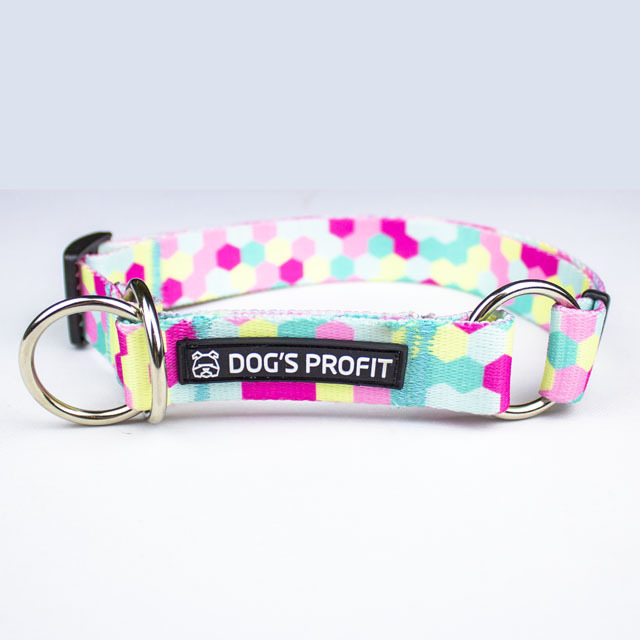 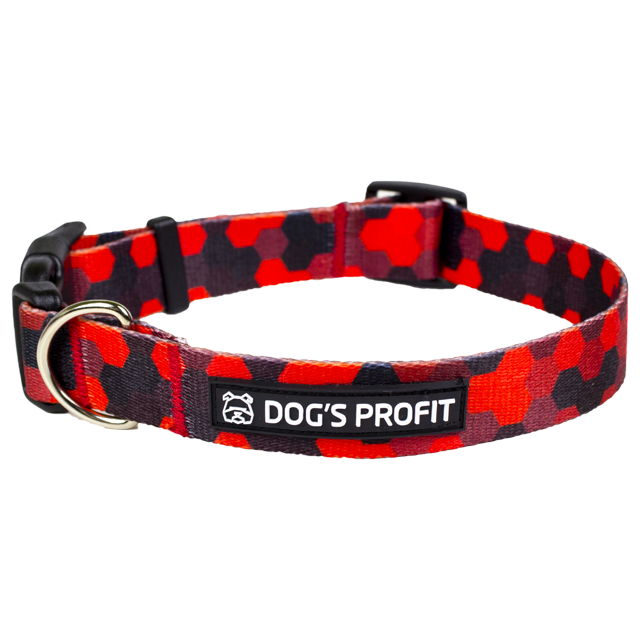 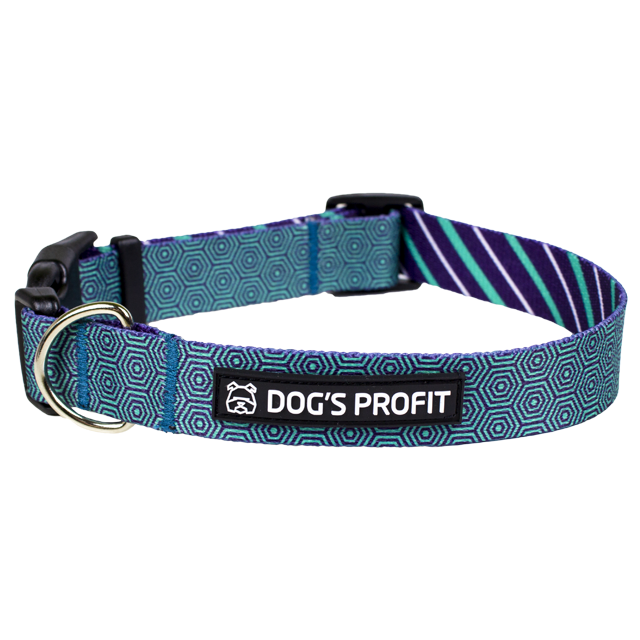 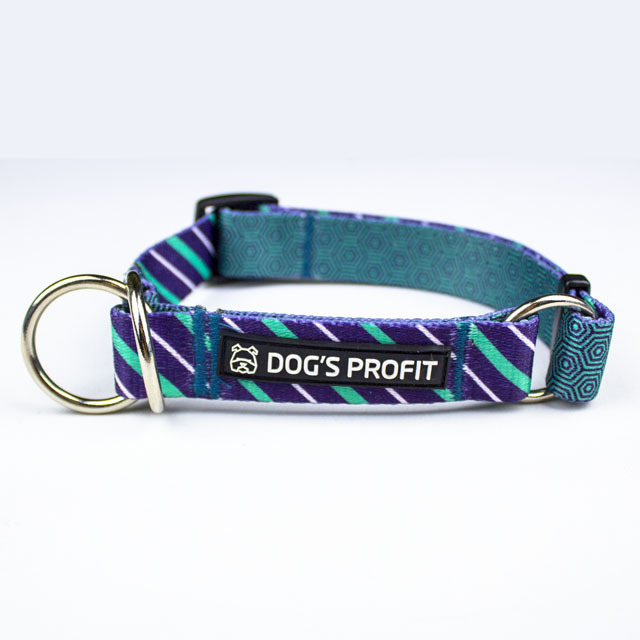 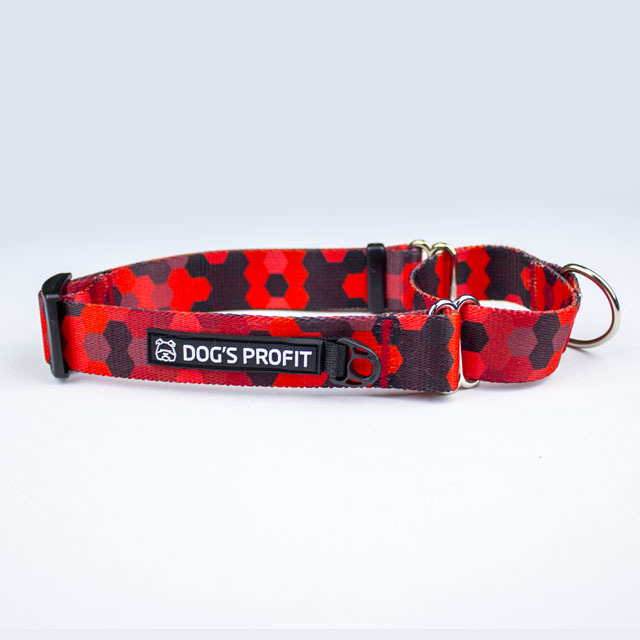 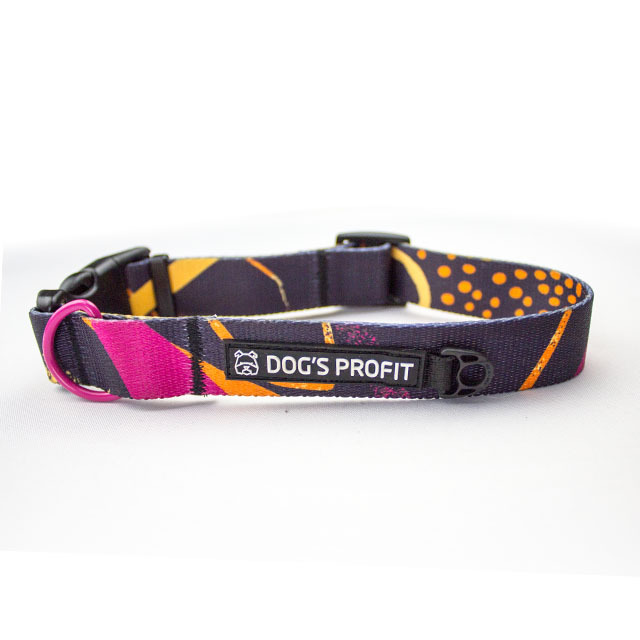 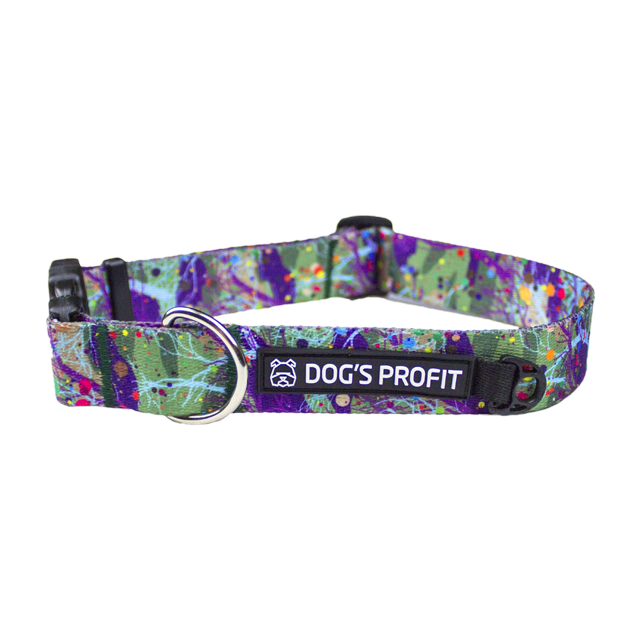 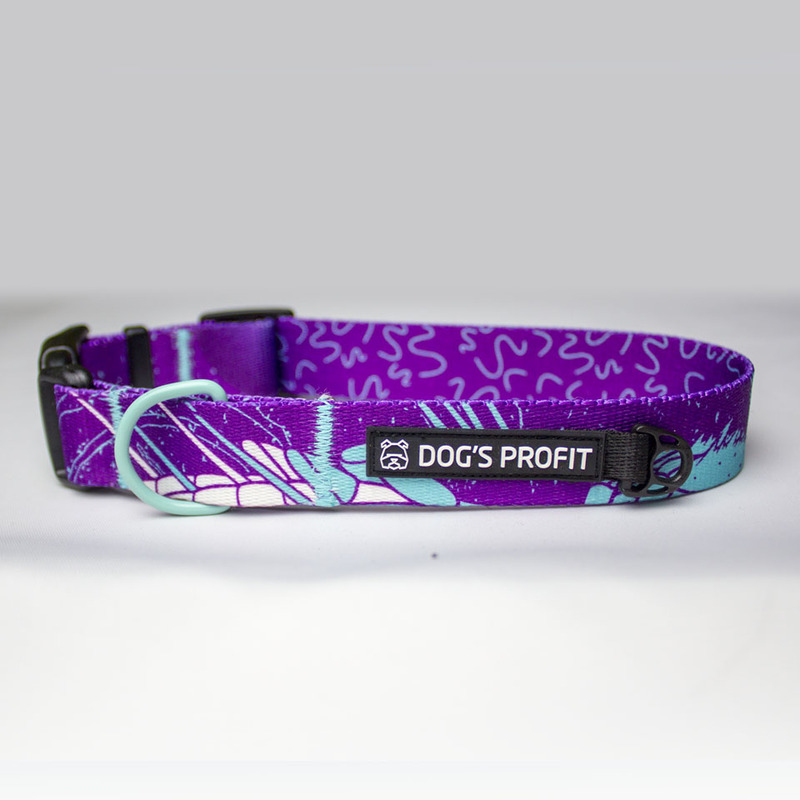 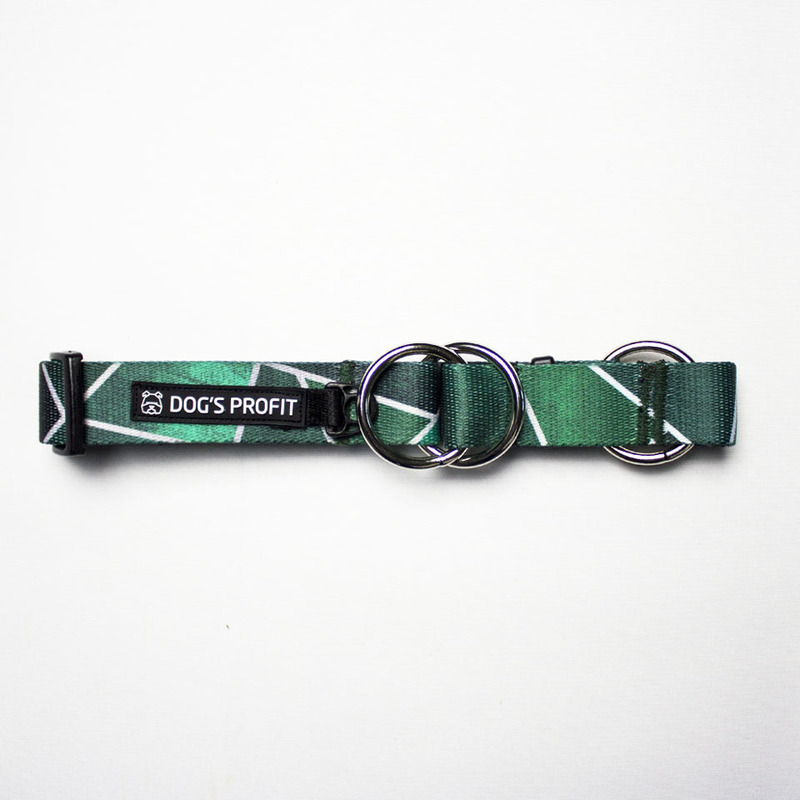 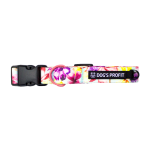 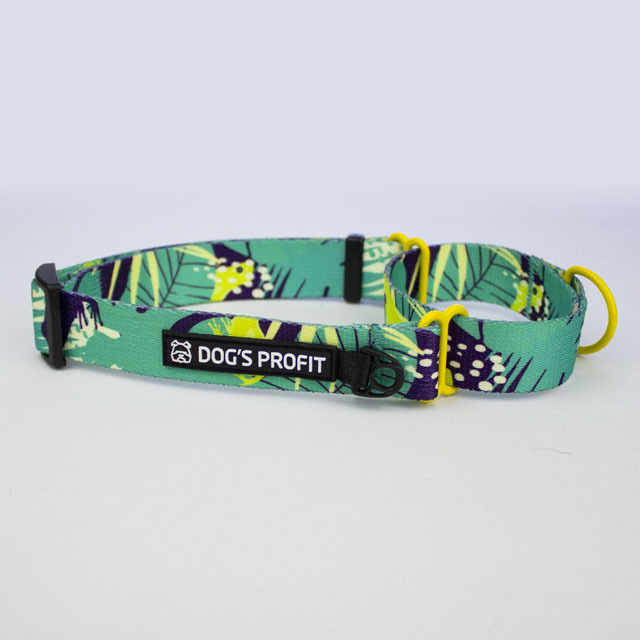 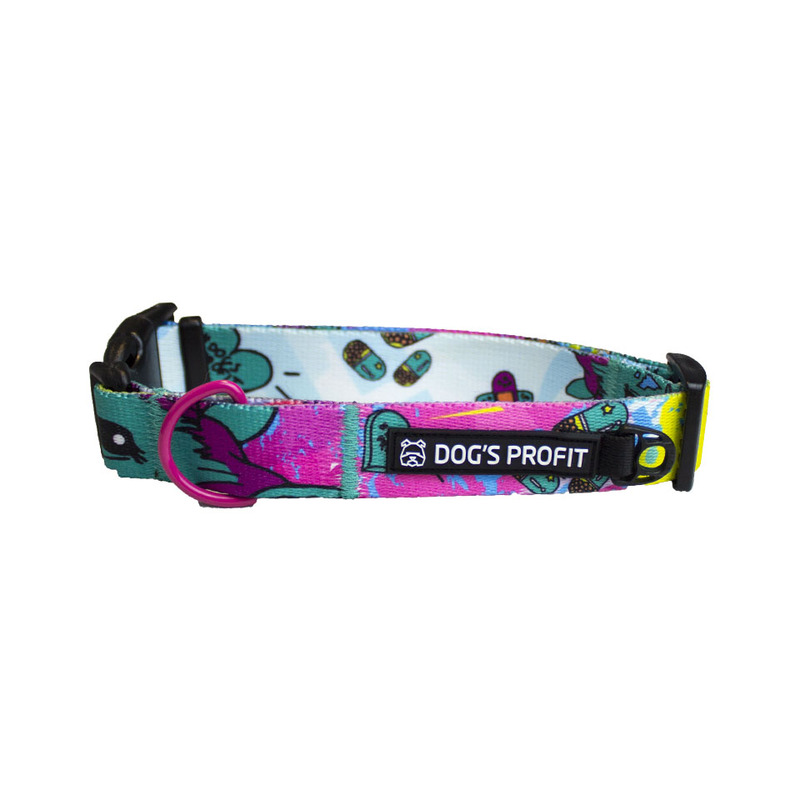 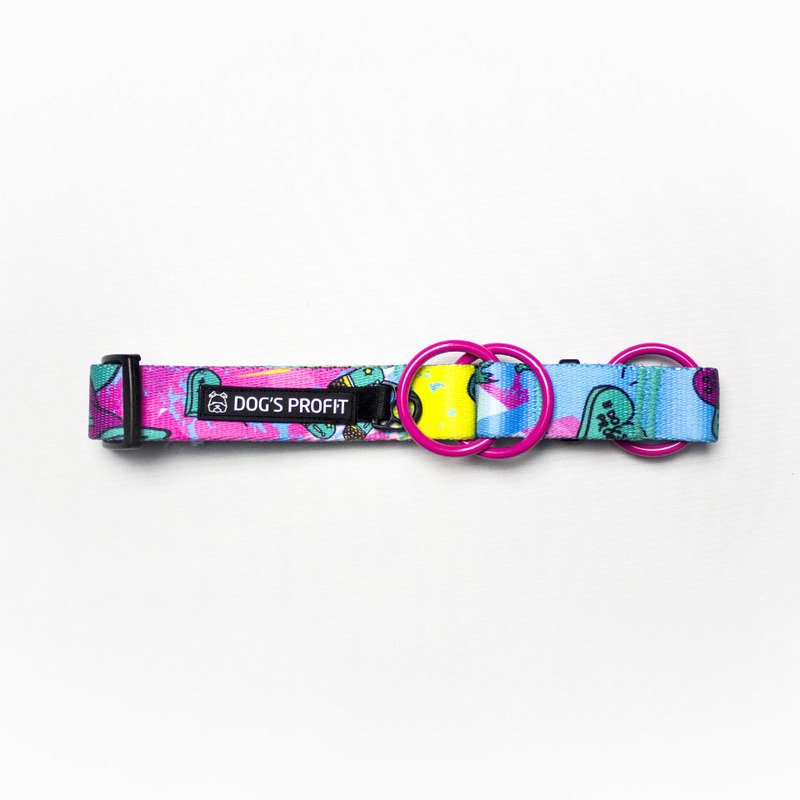 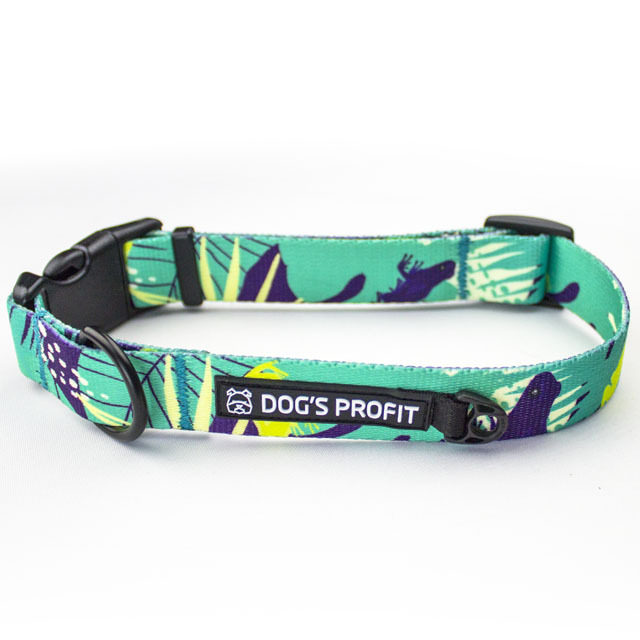 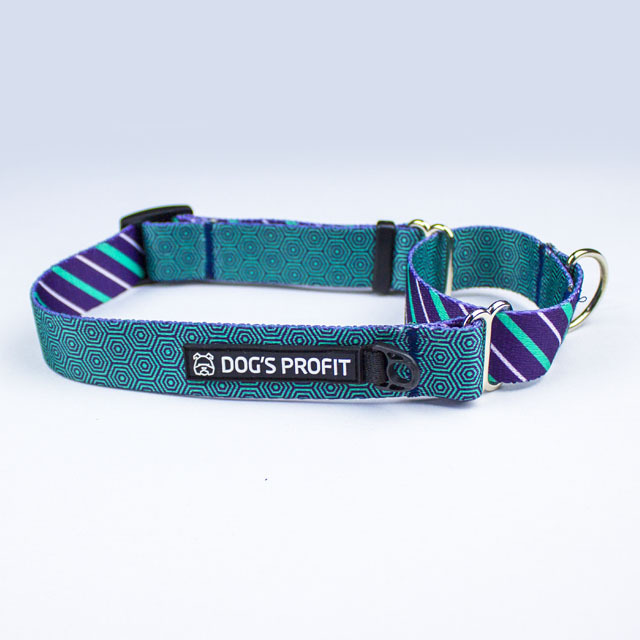 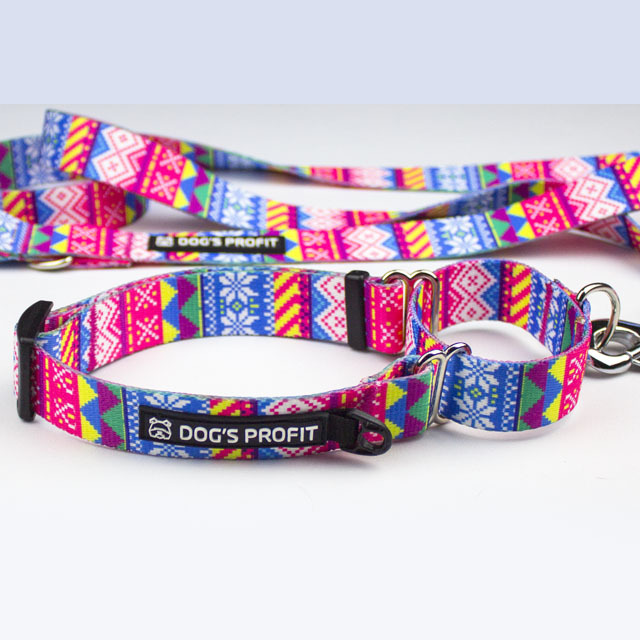 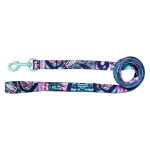 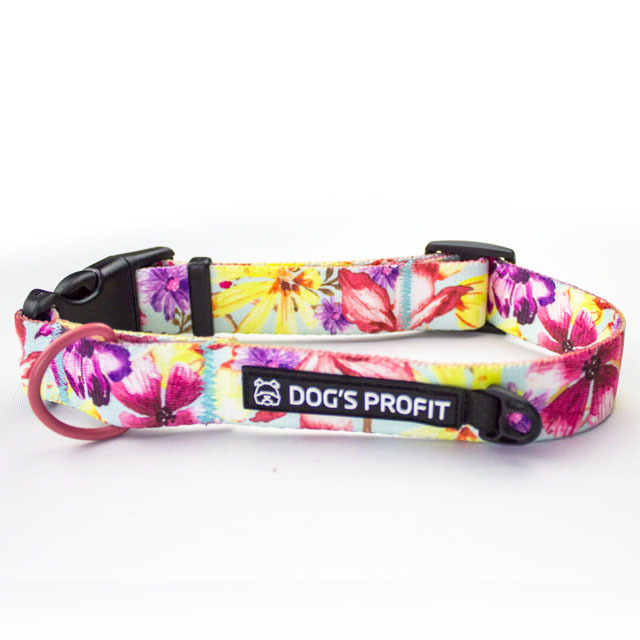 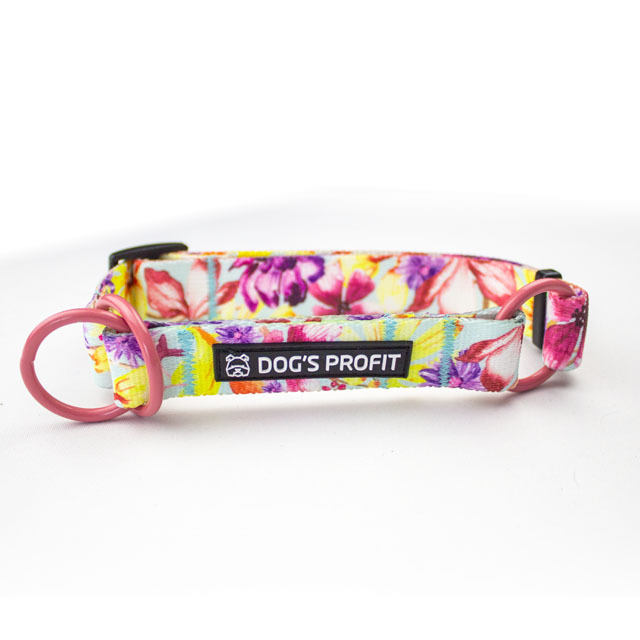 The collar with the Dog's Profit logo is made of durable and soft tape. 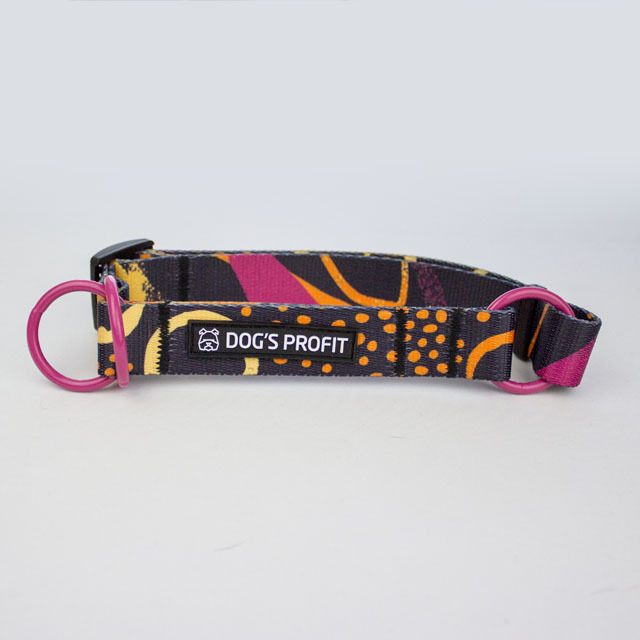 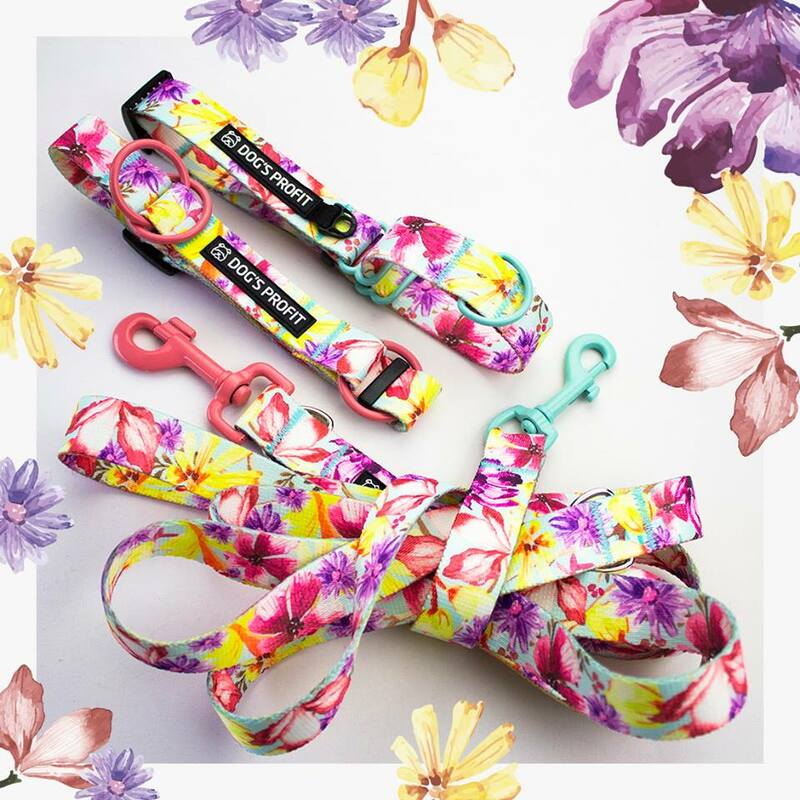 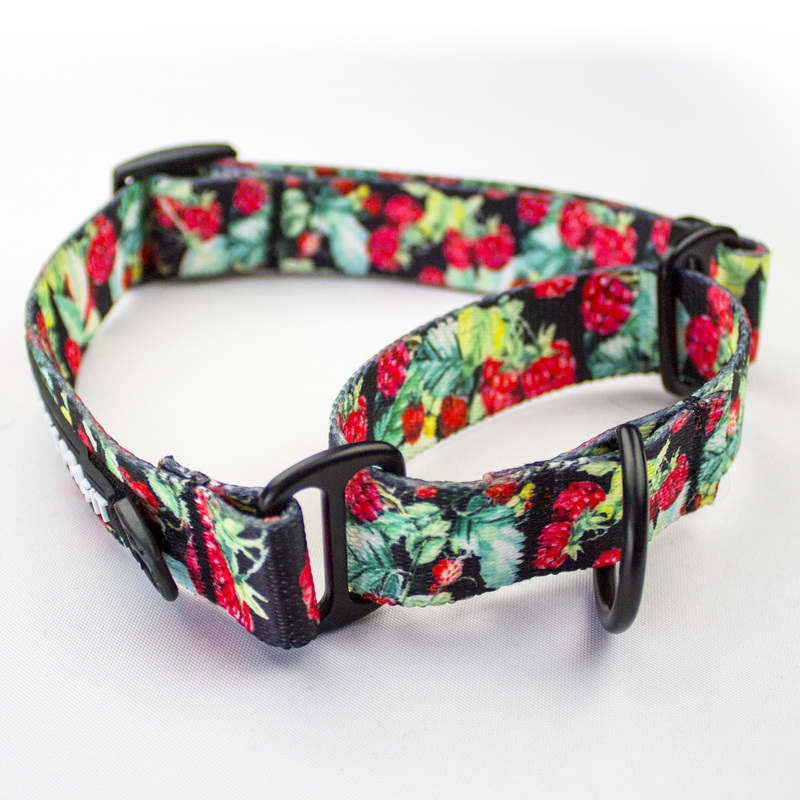 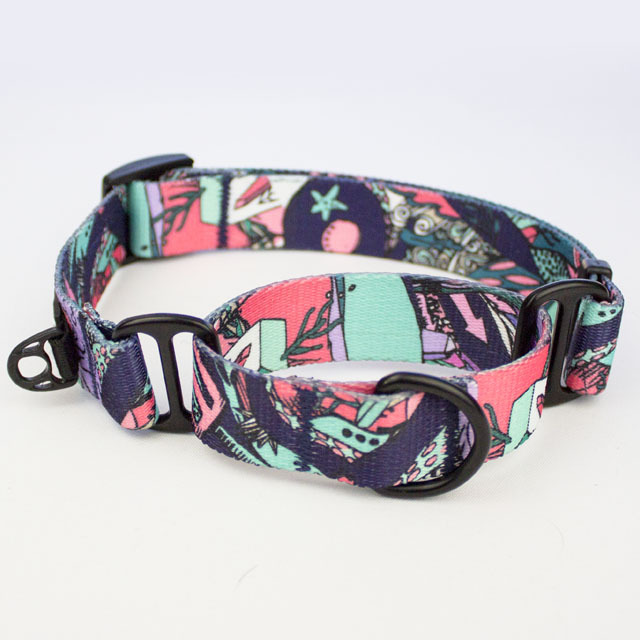 Different belt widths make our accessories ideal for dogs of small, medium and large breeds. 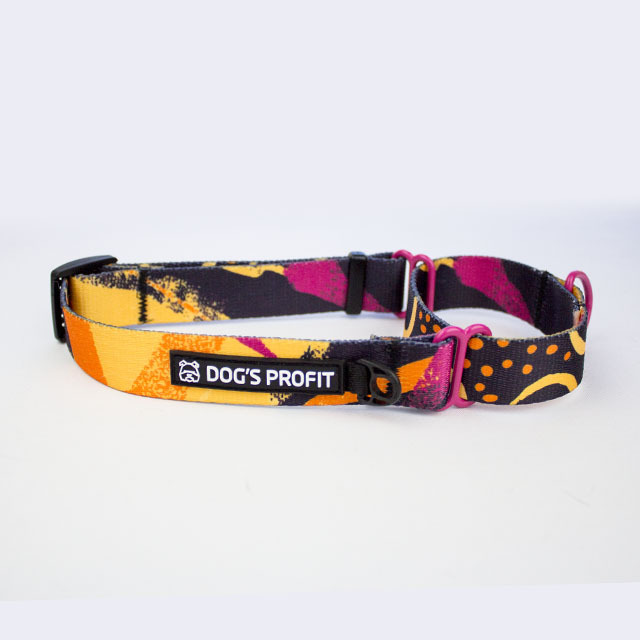 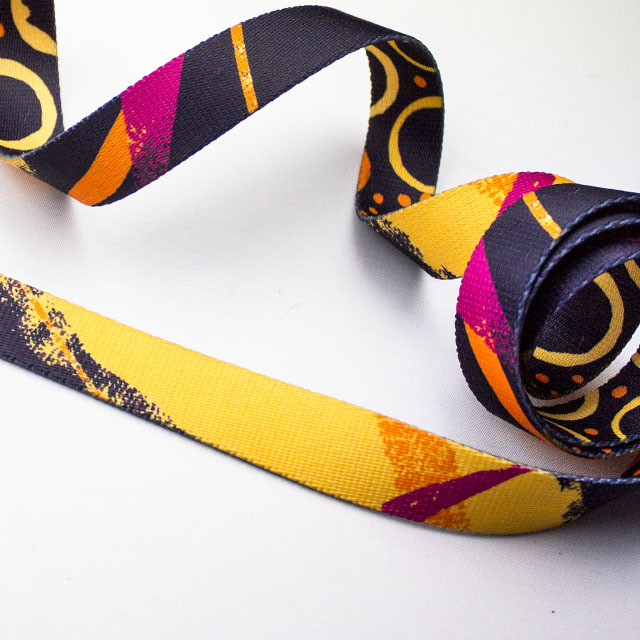 Original designs and nice colors will help you stand out from the crowd. 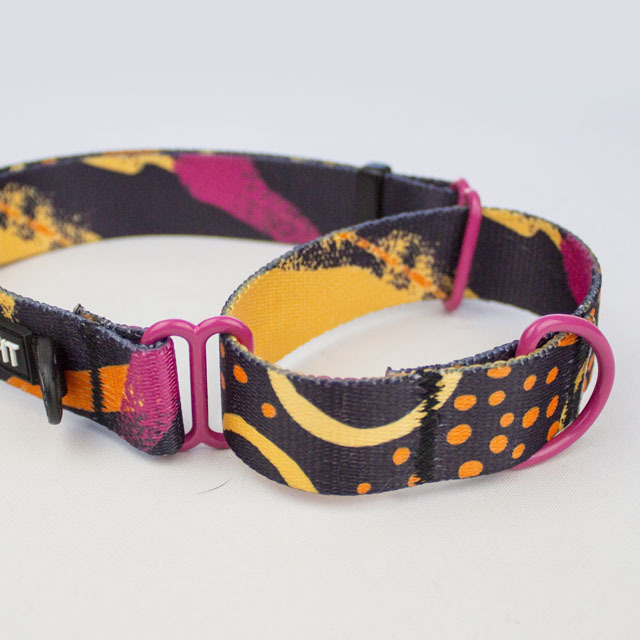 Welded, strong fittings ensure safety during use. 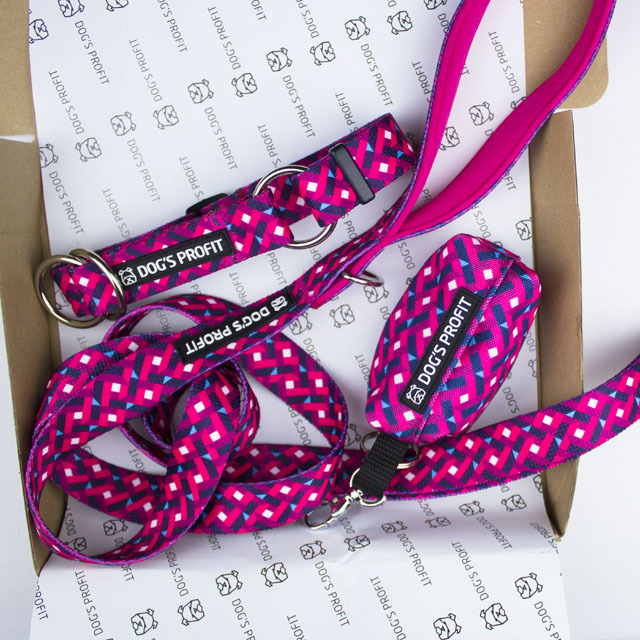 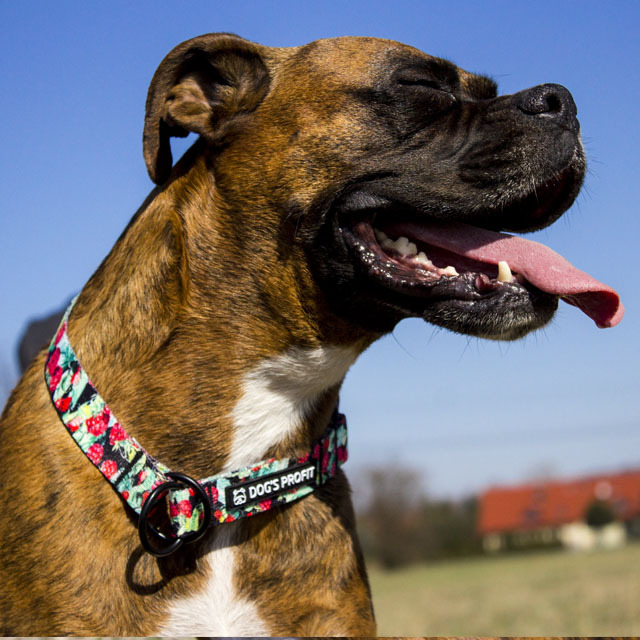 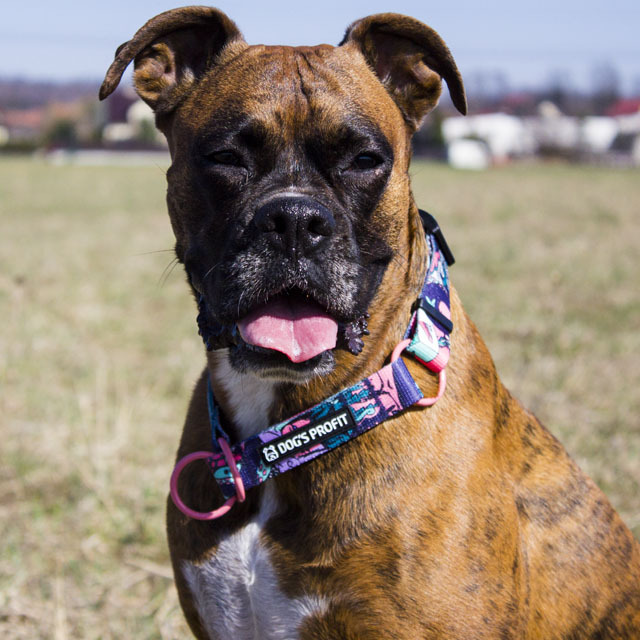 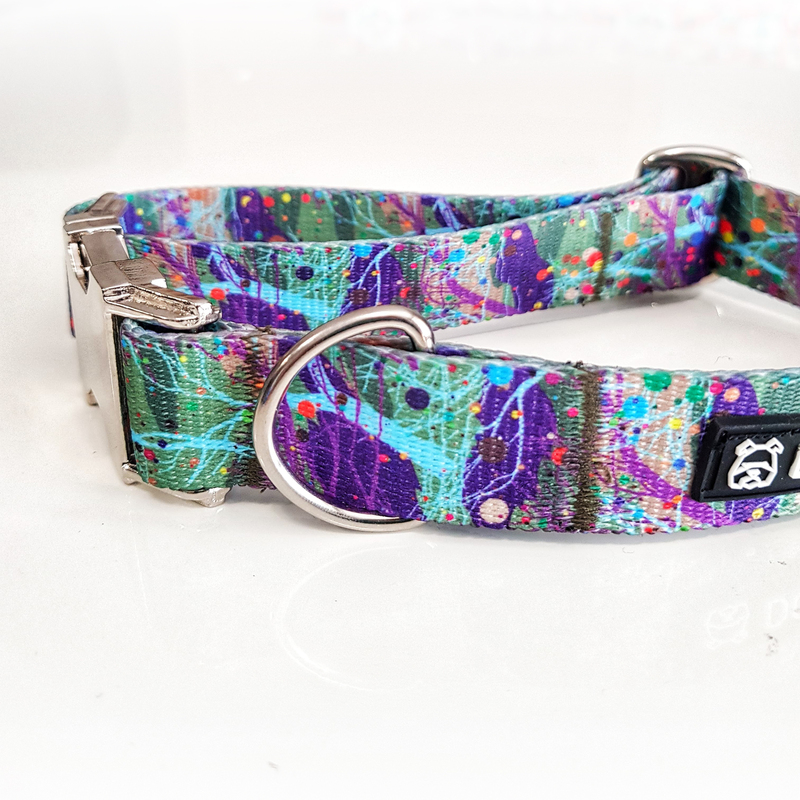 In addition, each collar has a separate ID tag attachment point! 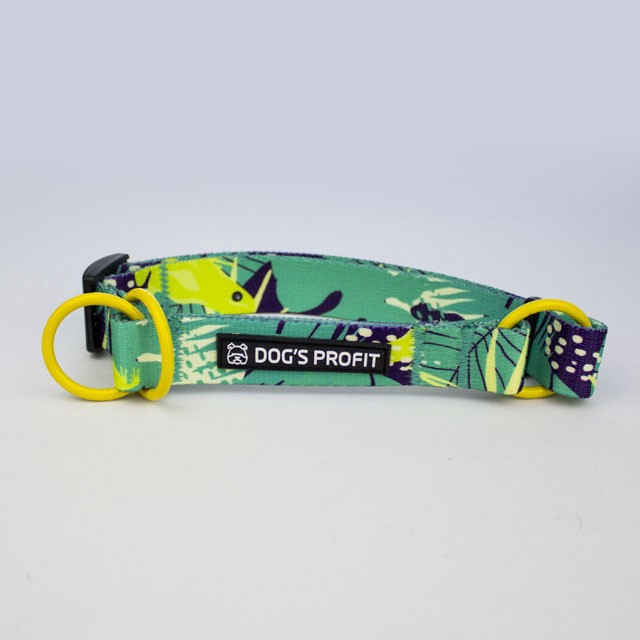 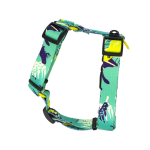 The functional collar for the dog is made of a soft and durable tape. 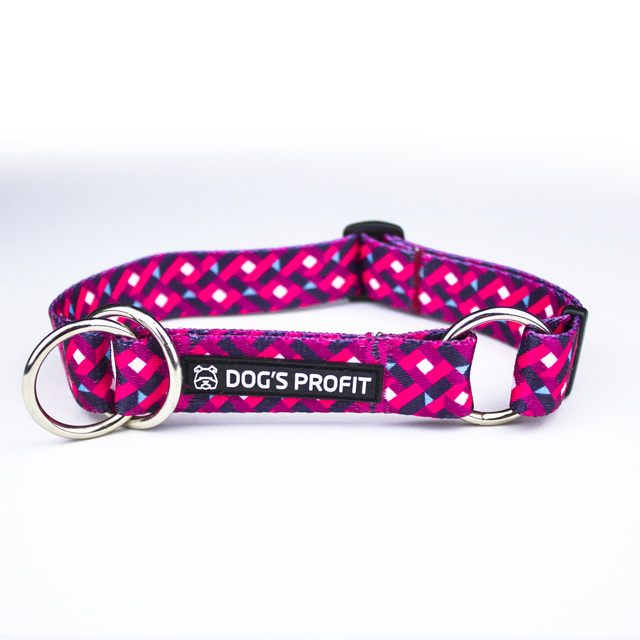 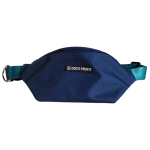 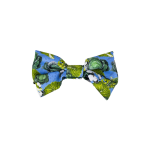 Perfect for dogs of small, medium and large breeds. 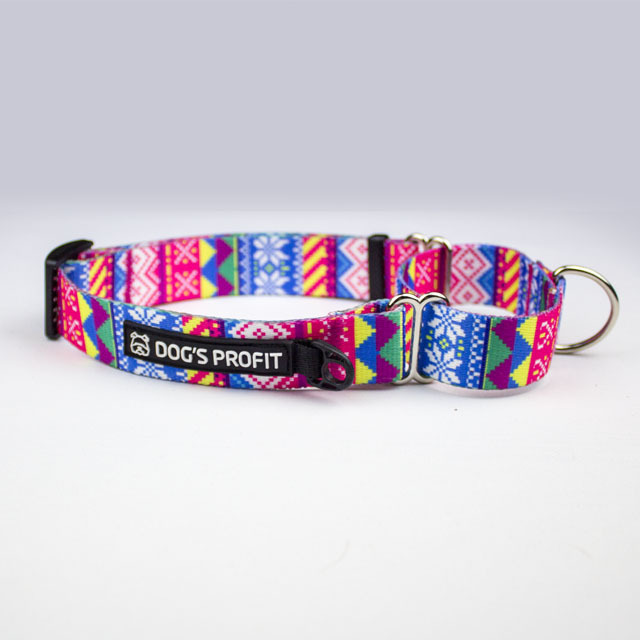 Original design and nice colors will work great in every situation. 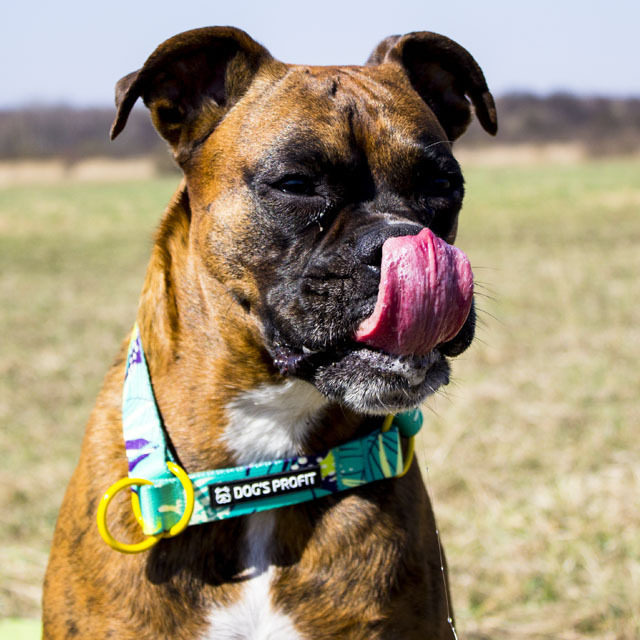 Strong, welded fittings ensure safety during use. 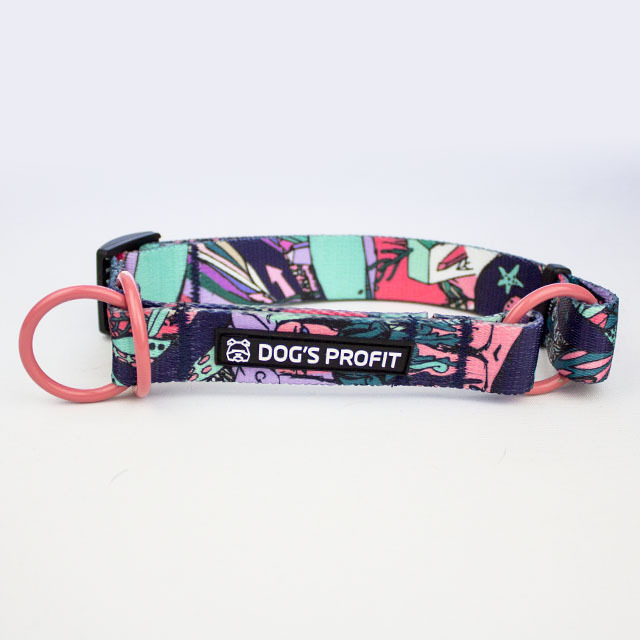 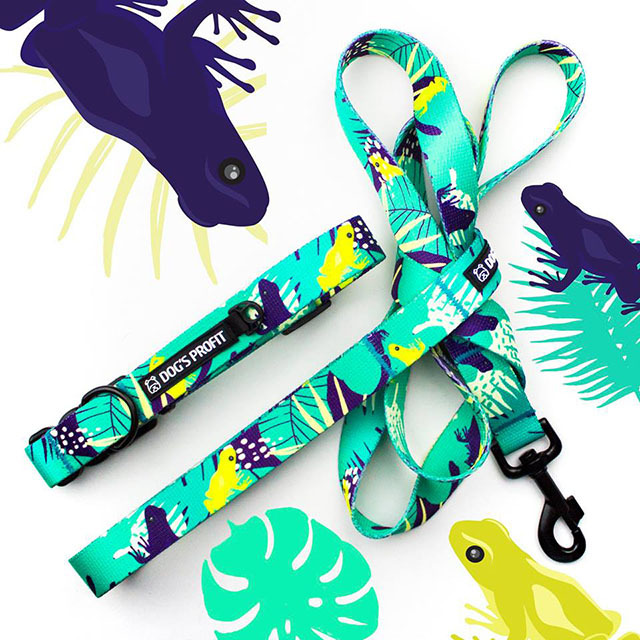 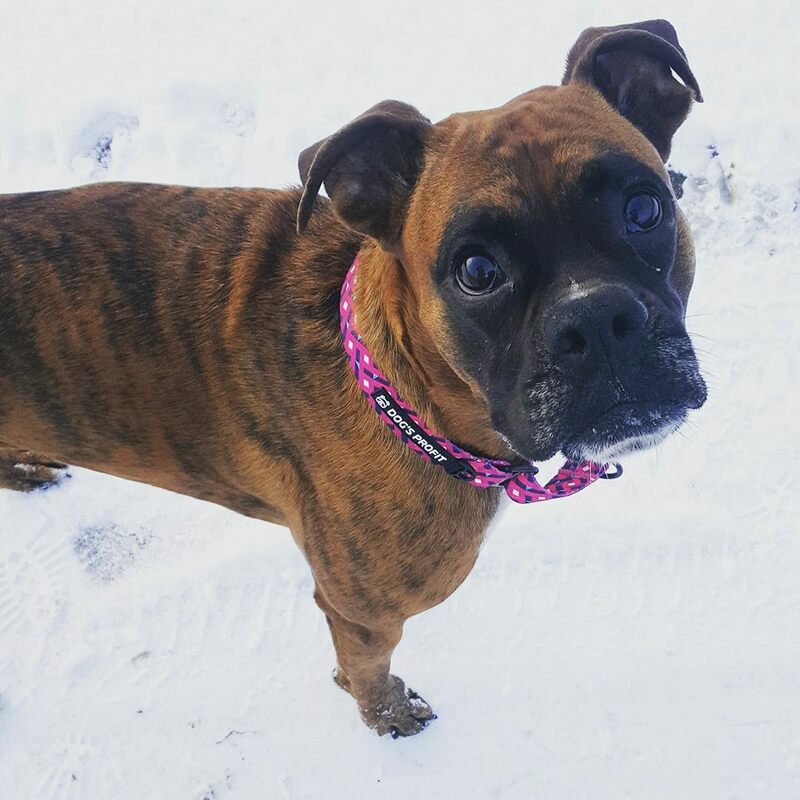 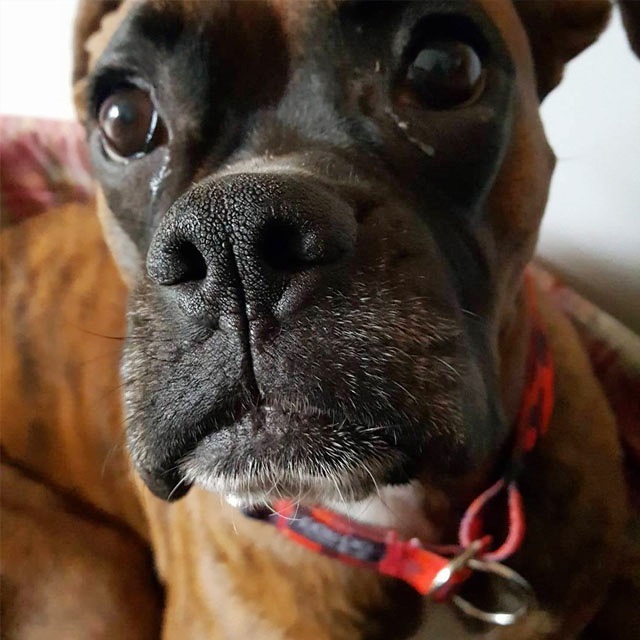 Half-slip collar is designed for dogs that have a neck wider than the head (eg amstaff, pitbull) or simply tend to free themselves from a classic collar with a buckle.